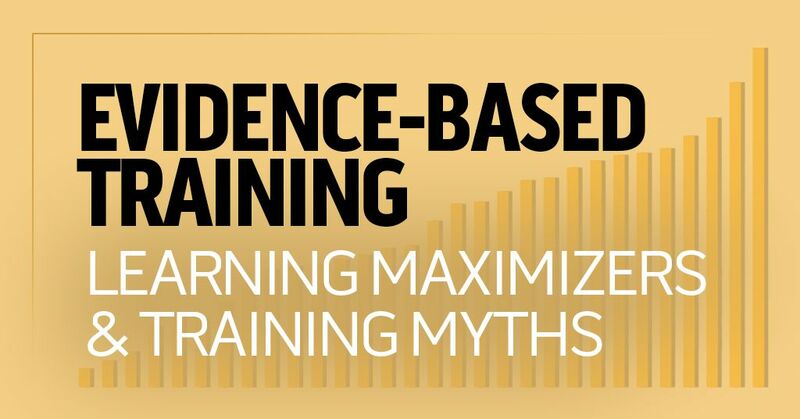 In this article, the continuation of our series of interviews with noted learning researcher Dr. Will Thalheimer, we’re going to discuss evidence-based training methods and learning myths with no supporting evidence. The focus on evidence-based training methods is central to Dr. Thalheimer’s career and work, and it’s been the central focus of our earlier articles with him, which looked at smile sheets, spaced learning, and elearning effectiveness. In this article, you’ll read about three three models for applying evidence-based training, about some learning methods that many think are proven and effective despite a lack of evidence supporting that, and about the importance of fighting the good fight to identify and use learning methods that truly support the learner. And since this is the final article in the four-article series, we’d like to issue a big thank you to Dr. Thalheimer for his time and knowledge, both of which have been greatly appreciated. Don’t forget to check out his new model for learning evaluation, which he finished while we were writing this series. Maybe he’ll be nice enough to come back and discuss that with us in the future. Convergence Training: I think a focus of your career, if it’s fair for me to state what your focus is, but clearly one of them is evidence-based training and learning methods, and in that line I’m a big fan of what you call training maximizers, which is maybe the same thing you referred to as the decisive dozen in our earlier interview on the effectiveness of elearning. Could you tell us about your training maximizers and the decisive dozen, and clear up any mistakes I may have just introduced by talking off the top of my head? Dr. Will Thalheimer: They’re a little bit different. The decisive dozen are learning factors you can use in the design of learning, and the training maximizers model (which I’ve begun to call the learning maximizers model as well), is sort of the goals, the things we ought to aim for when we are designing our training and learning intervention. I created this several years ago, and as time goes on, I refer to that model more and more. I really like it. The first is we ought have valid, credible content. The second one is the learning events ought to be engaging. And the third is the learners ought to understand the learning. Now we tend to be pretty good at those three. It’s the next four that we’re not so good at. And that’s supporting long-term remembering, helping workers make decisions, persevering in learning, and and supporting remembering. Those are the ones we tend not to be as good at. So the model is a really good reminder of things that we ought to be doing and yet don’t always do. Note: Also see Dr. Thalheimer’s 4 Pillars of Training Effectiveness and Decisive Dozen Learning Methods. Convergence Training: Great, a good reminder. And the 7 learning maximizers model sits nicely along your 4 pillars of instruction model (also discussed here) and your decisive dozen learning methods model (also discussed here). Now, the flip side of that is you do a lot of work, and in particular are often quite funny–as you often are in your work in general–in your debunker club and in exposing some common learning myths. Could you maybe name a few learning myths, things many people believe about learning even though there’s no evidence for them? 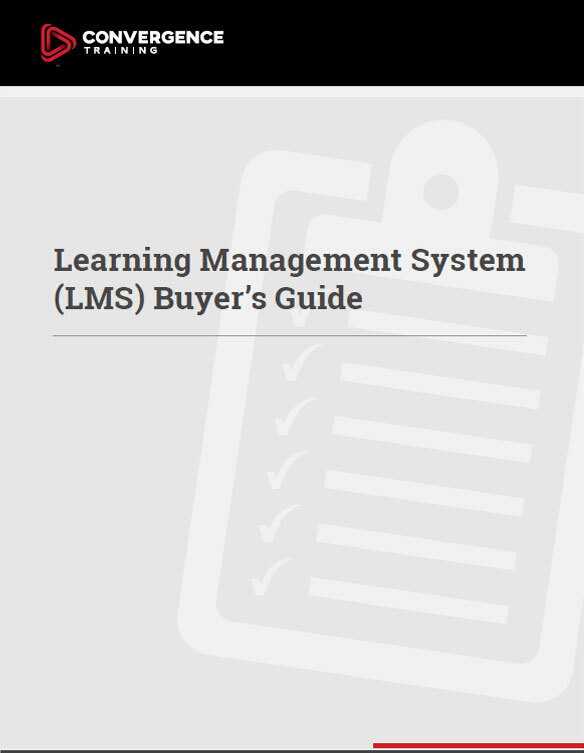 Well, the biggest one of the last few years is learning styles. A lot of people think that you ought to design our learning based on the learning style of our learner. But there have been many, many research studies over the years that show that’s an ineffective methodology, that we ought to be focused on learning factors, for example the learning factors in the decisive dozen. A big one now is neuroscience. A lot of people think that brain science, neuroscience–that’s the place where we have the most wisdom about how to design learning. But neuroscience has added very little to what we know in terms of basic research–cognitive science, behavioral science. And so there’s a lot of commercial interests out there, vendors getting our attention out there, saying it’s all about neuroscience. But we are being fooled, it’s the new shiny object in our field, and so that’s a big myth, that neuroscience is ready. Some day it may be, but it’s certainly not yet. Convergence Training: And how much of that do you attribute to straight-up scamming and snake oil, and how much do you attribute to people being confused about the difference between neuroscience and cognitive science? Dr. Will Thalheimer: Uh…I’d say, well, I don’t know if I want to put a number on it, but most of it is snake oil. People just come up with stuff, they’ve been asked to compile research that will show learning in a good light and get eyeballs, so they compile everything they see and they don’t know what they’re doing. So some of it is unintentional, because humans tend to be interested in what is new, but there are definitely people taking advantage, too. Because I’ve talked to people and I’ve said “Hey, what you’re saying is not true, stop saying it” and some of them will change, but a lot of them don’t listen. It’s a problem in our field, but it’s not new. There have always been fads that have come and gone. It’s something that we as learning professionals ought to know about our field. We ought to hold a certain healthy skepticism, we ought to look for people who are the research to practice practitioners…my work, Julie Dirksen, Patti Shank, Clark Quinn, Mirjam Neelan, some of the researchers who have reached out, Paul Kirschner, others making things practical. There is a lot of good stuff out there, but there’s also a lot of bad stuff, so it really behooves us as learning professionals to be active with those who are bridging the gap between research and practice. Convergence Training: Great, thanks. I’d also like to share a little information about yourself, your work, and your Will at Work blog. Anything you’d like to tell us? Dr. Thalheimer: Well, you know, I am the most charming, lovely person in the field (laughs), hands down. The most handsome. I have the best set of abs. I mean, really. Well, no. To be serious now, what I’ve tried to do for the last twenty years is to bridge the gap between the research side and the practice side, and spend a lot of time every year reading the scientific journals, and making sense of them, trying to cut through the jargon and the theoretical baggage, trying to find out what causes what, and then sharing that in the publications that I write, in my conference presentations, and my work with clients. It’s a joy to be able to do it, it’s a little bit of a Sisyphean task, because people don’t really pay for research, they pay for other things, so you’ll notice there aren’t a lot of us doing it out there, because it’s difficult. But I enjoy it, and it’s sort of my life’s work, and I am going to keep at it as long as I can. If there’s one overarching tip we’re hoping you’ll take from this part of our interview with Dr. Thalheimer, it’s to use training methods that are proven to be effective in workforce learning & development efforts. We’ve given you some specific examples of proven effective methods, as well as some examples of common myths that people in training often believe without seeing the evidence or analyzing it closely. And from there, we encourage you to continue the evaluation of learning methods in an open-minded, yet skeptical manner that demands evidence. If you enjoyed this series of articles featuring Dr. Thalheimer, check out our earlier article featuring Arun Pradhan on the importance of learning to learn, and watch for some upcoming series with other exciting and leading learning professionals.